"We study the effect of many body dispersion on the geometry and energetics of atoms, molecules and nanostructures adsorbed to a metal surface and find a ubiquitous importance of many body effects to correctly describe adsorbates." A correct description of electronic exchange and correlation effects for molecules in contact with extended (metal) surfaces is a challenging task for first-principles modeling. In this work we demonstrate the importance of collective van der Waals dispersion effects beyond the pairwise approximation for organic-inorganic systems on the example of atoms, molecules, and nanostructures adsorbed on metals. We use the recently developed many-body dispersion (MBD) approach in the context of density-functional theory [Phys. Rev. Lett. 108, 236402 (2012); J. Chem. Phys. 140, 18A508 (2014)] and assess its ability to correctly describe the binding of adsorbates on metal surfaces. We briefly review the MBD method and highlight its similarities to quantum-chemical approaches to electron correlation in a quasiparticle picture. 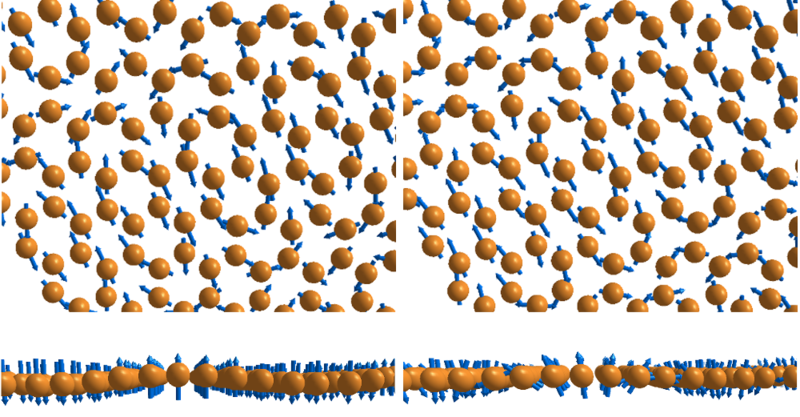 In particular, we study the binding properties of xenon, 3,4,9,10-perylene-tetracarboxylic acid (PTCDA), and a graphene sheet adsorbed on the Ag(111) surface. Accounting for MBD effects we are able to describe changes in the anisotropic polarizability tensor, improve the description of adsorbate vibrations, and correctly capture the adsorbate-surface interaction screening. Comparison to other methods and experiment reveals that inclusion of MBD effects improves adsorption energies and geometries, by reducing the overbinding typically found in pairwise additive dispersion-correction approaches.